The following list provides a summary of only some projects UMD has undertaken. Some are also linked to more detailed UMD Project Summary sheets. ACI Glass (Adelaide): Custom design and manufacture of a Low Volume Flow monitor. Flow monitors become non-linear when used for measuring flow below their limits. However, they are predictable. This device enables flow monitors to be used in this non-linear region, with appropriate callibration, which was also built into this device. AAMI Stadium (BASS South Australia): Supply and integration of the UMD Venue Access System for Turnstiles (VAST) into their BASS ticketing system and stadium turnstile access entry system. Including supply of portable wireless terminals as a "mobile turnstile". Australian Jockey Club: Supply and integration of the UMD Venue Access System to manage their venue access. Adma - Boosting visitor interest and involvement with exhibitors: UMD's RFID-ActiveFrame made its debut at the Australian Direct Marketing Association (ADMA) forum at the Sydney Convention Centre on 16 & 17 August 2011 as part of Centryc Solution's Customer Interaction Management service. The system works by transmitting in real-time the ID of the wristband via WiFi wireless communications to Centryc's internet based service which, for example, prompts users via SMS to visit a random selection of stands. Australia Post (national): Supply of 4500 UMD Model 120-T Computer Cash Drawers with Integrated Trigger Interface, custom scale cable interfaces and POS printers as the major subcontractor to Unisys Australia. AWA Gaming: Custom design and manufacture of a "Keno Betting Terminal" for a Hong Kong Tender. UMD had supplied, as a major subcontractor to Honeywell, a UMD Access Control System based on the UMD Venue Access System for Turnstile software, mobile computers and custom turnstile electronics designed by UMD, for the Bangladesh Cricket Board . Which was installed for the 2011 World Cup Cricket. See here for details. CDS Worldwide: Custom design and manufacture of a smart card loyalty terminal (UMD Model 610) for the re-vamped Melbourne Central Shopping Centre. CDS Worldwide: Customisation of the UMD Model 335 Custom Terminal into a POS terminal for car parking booths. The City of Unley - Fun and games: The City Of Unley in Adelaide use the UMD-IPAS system(Integrated Point of sale and Access control System) to provide their aquatic centre with an integrated ticketing, access control and point of sale system. Kaba Autralia provided the swing gates. Consultech Australia: Custom design and manufacture of the UMD Model 241 "V-Link" Viatel Keyboard Modem Terminal. This videotext system interfaced to the then Telecom's Viatel Service and incorporated modem, keyboard and display interface. Department of Primary Industry: Custom design and manufacture RFID reader for pig feeder. Dyco Products: Commissioned to design and manufacture the electronic upgrade to the Dyco's LIFE-SAVER, mobile traffic warning system. Environment & Control Instrumentation (ECI): Design and manufacture of an Industrial Kiosk to dispense water for councils. Includes the integration of UMD Model 620 PXA Controller, Insert Type Card Reader, panel mount printer and Cardgate Credit Card Payment Gateway built into a panel assembly for easy mounting. Faulding Warehouses (national): Supply of Intermec wireless infrastructure and wireless terminals for warehousing operations in 6 states. GBC Scientific Equipment: Custom design and manufacture of digital pressure gauges. Used on spectrometers. Godfrey Hirst: Supply and installation of wireless infrastructure, mobile computers and RFID equipment. HAMB Systems: Supplied and integrated Cardgate Credit Card Payment Gateway into their medical benefits payment system. Holden Engine Company: Customisation of the UMD Model 330 Custom Wall Mount Terminal into a production process control monitor. Utilises barcode inputs and ensures process is done in correct sequence. Honeywell: Custom design and manufacture of a mil-spec keyboard for import product replacement. Honeywell: OEM Custom design and manufacture of the "Honeywell High Security Manager" Security Control Panel. Though several hundreds of units were required, the volume was tool small for Honeywell to undertake inhouse. Information Technologies Australia: Supplied and integrated Cardgate Credit Card Payment Gateway into their interactive voice response (IVR) payment system. Invicta Carpets: Custom design and manufacture of a "Production Monitoring System" for "tufting (weaving)" machines. Based on Rockwell AIM65 microcomputer with integrated printer. Solution printed daily "usage" report of machines. Customer received return on investment in 2 weeks as they were able to identify "unproductive" downtime. This was UMD's first commercial project (1983). Luna Park Sydney: UMD was a pivotal "edgeware" technology partner for the iconic Luna Park Sydney's "My Experience" interactive entertainment initiative as launched on Saturday, 2 July 2011. UMD provided the "eyes and ears" to the Centryc Solution marketing platform which formed the basis for the initiative. UMD provided its new range of RFID Pad Readers to read the RFIDnPrint supplied contactless wristbands. It also developed custom technology and middleware to seamlessly interface to the legacy back office access system and provide mobile kiosk M2M communications. Read the Luna Park press release for further detail. Mazda Zoom Zoom's with UMD! As part of Mazda's development of its new 20,000 square metre spare parts warehouse in Somerton Victoria, UMD has supplied and installed infrastructure consisting of Intermec CK3 wireless hand held terminals and Intermec PB50 portable printers, Aruba Networks redundant wireless controllers and access points, UMD custom multi-device charging bay and all electrical and data services. Melbourne Racing Club: Supply and integration of the UMD Venue Access System for Turnstiles (VAST) system, as used in the Caulfield Cup. Metropolitan Fire Brigade (MFB): Development and integration of the RFID Based Total Apparel Management System. NSW Department of Motor Transport (DMT): Custom design and manufacture drivers licence card engraving system, including signature and facial image data capture. Supplied as major subcontractor to ACI Computer Services & Cheque Printers & Encoder (CPA) Australia. Though system was developed and supplied, it was never deployed due to "privacy issues"! NSW State Rail: Customisation the UMD Model 264 Custom Keyboard into a ticketing issuing keyboard for train stations. This included the custom legending of keycaps to match the exact requirements. NHP Electrical Engineering Products: National Manufacturing and Distribution Facility William Angliss Drive - Laverton. Supply and install RF wireless infrastructure and wireless terminals. Parramatta Stadium, home to the NRL Eels, has stepped up to the benefits of the UMD-VASTï¿½ patron access control system. We wish the stadium a happy 25th Anniversary! Plant Access Grows Its Competitive Edge with Industry-First RFID solution implemented by UMD using Honeywell Scanning & Mobility (HSM) RFID tags and intelligent RFID Readers. See HSM Case Study for details. PMSI Group: Custom design and development of the UMD Model 420 Universal Turnstile controller. These controllers are installed in PMSI's Australian manufactured turnstile entry systems and and used to control all operations of the turnstile and communication with the host system. These turnstiles have been deployed in many Australian venues. Royal Melbourne Show - Get your Showbag: The Royal Melbourne Show used UMD VAST™ for efficient patron access control for the first time this year. The society appreciated the real time reporting and smooth integration with their ticketing provider Ticketek. South Australian Aquatic and Leisure Centre - In the swim: UMD VAST™ was implemented just in the nick of time to allow the public to attend the 2012 Australian Swimming Championships at the South Australian Aquatic and Leisure Centre in Adelaide. Here UMD VAST(tm) is connected to Ticketek's ticket issuing system. Symbion Pharmacy Services have selected UMD for the implementation and upgrade of their Warehouse Distribution Centers in Melbourne, Adelaide and Perth, utilising the Intermec CK31 Mobile Terminal and Cisco Network Infrastructure. Racing Victoria Ltd: Custom design and manufacture of portable RFID reader which has eventually evolved into the UMD Model 641A-02 Horse Identity Verifier. This reader is used to ensure the correct horse had been entered into the correct race. Spotlight Stores (national): Supply of POS hardware including UMD Model 264 Custom Keyboards and POS printers. The Sydney Turf Club and Australian Jockey Club have selected the UMD VAST (Venue Access Systems for Turnstiles) to manage their venue access. The Australian Council of Livestock Agents: Design and development of a computerised interface for the livestock auctioning system known as the "Livestock Electronic Auctioning By Description (LEAD)"
Toyota (Adelaide): Customisation of the UMD Model 330 Custom Wall Mount Terminal into a production process control monitor. Utilises barcode inputs and ensures process is done in correct sequence. United Energy: Supply and integration of the Cardgate - Credit Card Payment Gatetway into their IVR and Call center facilities. Victorian Racing Club (VRC): Development of integration of the UMD Venue Access System for Turnstiles (VAST) into their stadium. (as used for the Melbourne Cup Carnival). VicGrain: Custom design and manufacture of data capture terminals for grain harvest. Wagga Wagga Livestock Sales Yard: UMD were contracted to solve the unreliable existing RFID reading system. The solution resulted in the custom design and manufacture of a synchronisation interface and controller to coordinate all 32 panels simultaneously thus eliminating the interference. UMD has extended it's UTP (UMD Ticketing Platform) to integrate with Amadeus, a global provider of travel booking solutions. 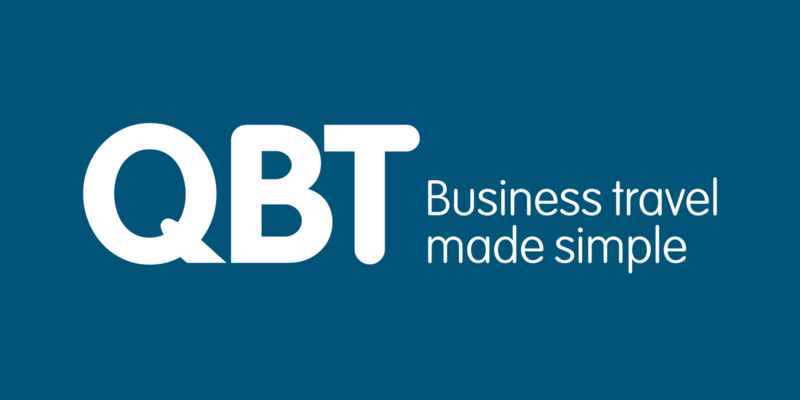 This in turn enabled Skybus, who use UMD's Platform to offer seamless ticket integration with QBT, one of Australia’s leading corporate travel companies. UMD has joined the Samsung Enterprise Alliance Program This gives UMD access to a number of Samsung development tools. We also see this as an opportunity to support the Samsung community with integration to "edgeware" and "IoT". Plant Access Grows Its Competitive Edge with Industry-First RFID solution implemented by UMD using Honeywell Scanning & Mobility (HSM) RFID tags, Readers and UMD's engineering ICT solutions skills. See HSM Case Study for details. UMD was a finalist in Melbourne's South East (MSE) Business Award for "Medium Enterprises". MSE is a regional economic development alliance of ten local government authorities (Councils) and utility companies with support from State and Federal government departments.